We recently reported on a rather loud engine test by Space Exploration Technologies Corporation (SpaceX) at its McGregor, TX, facility. The test was a full-up test of a Falcon 9 first stage and its nine Merlin 1D engines. Atmospheric conditions may have contributed to the noise carrying farther than usual – as far as Rogers, some forty miles away. It now appears that SpaceX is taking action to limit the noise coming out of the facility. Historically, SpaceX has performed engine testing on an above-ground tripod that sits atop a former World War II bomb factory. However, recent aerial photos reflect the construction of a new “test stand” with a below-ground-level flame trench reminiscent of Soviet/Russian launch pads. It’s doubtful if the new stand is being built solely for sound suppression, but its recessed construction, along with the direction of the trench, should significantly reduce noise levels in McGregor. Speculation is that the stand is needed for the testing of the company’s new three core, 27 engine, Falcon Heavy rocket. Also of note, and revealed in the same batch of photographs, are new structures on and around the “Grasshopper” launch/landing pad. These structures could be needed for testing of the new human-rated version of the company’s Dragon capsule. Stay tuned to SpaceFlight Insider for continuing updates on SpaceX and the construction/testing taking place at its McGregor, TX, facility. That new flame duct is definitely not “weeks old”. Did they give you any indication of when construction started? Michael – Not sure to what you are referring. The photos were taken by Jim on January 25, 2015. Obviously, the construction began long before then. Great new push into the future. 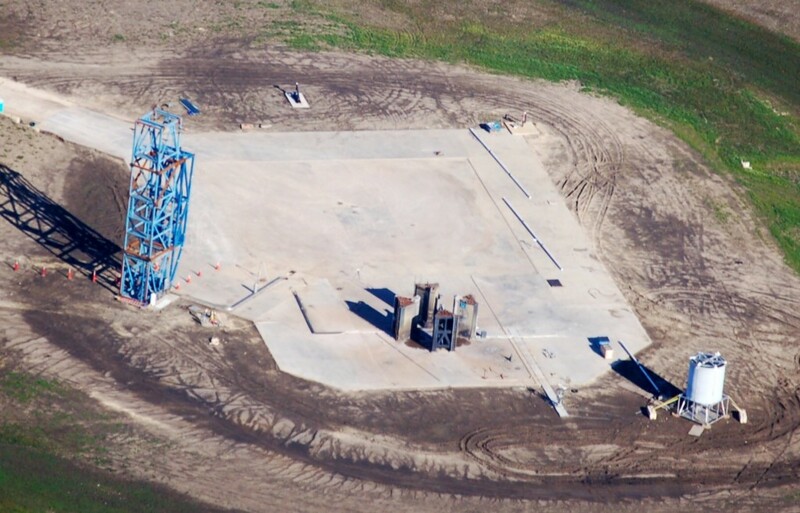 I do believe SpaceX has a working lease for a test stand at Stennis Missisppi as well. Dewey, on Wikipedia’s Raptor page, they state that Musk spoke about Raptor being about half that powerful: 230 tonnes-force or about 510,000 pounds-force. This was in January of 2015, so is probably current. Scott- Just asking when construction had started on that project? I find this fascinating. More info means more knowledge. 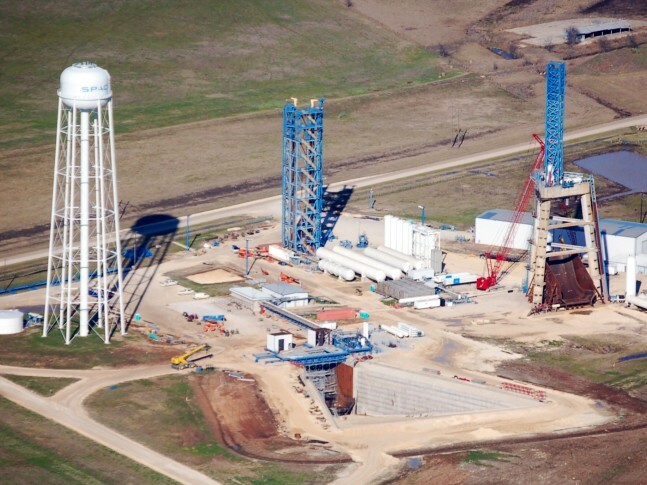 They announced the underground test stand in late April 2012 in the Waco Tribune. Sorry, but the link is now deceased and the Wayback Machine doesn’t have it archived. IIRC construction began in 2013. By Feb. 2013 the basic trench was visible on Google Earth. PS: that was supposed to say it was visible by Feb. 2014. Sorry. I hope to do some welding for SpaceX, it has been a dream to go into space . Just a dream , but possible for me to work on a structural equipment, launch pad or just be a part of the future. I can see man living on Mars and living in deep space. I hope that I will live to see this and the change that is coming.